Owelle, compliments of the season! Owelle, I have not met you before and I am not writing this article for any form of inducement. I am also writing this article considering your current level of governance in Imo State which has not been encouraging and has left the state in chains. Also, you are running the state aground because you already know that you can't come forward to vie for the post of the office of a governor again, but you have shown that you do not think ahead. You have continued to run the state very recklessly no matter whose ox is gored, you run the state like a private enterprise with a touch of cronies and nepotism. I believe that power is not a toy and should not be handed to all comers, for you, you grabbed power and you have misused it. For a visionary leader, his quest for political power is simply to enable him pursue and attain the set goals as may have been spelt out. Vision breeds purpose, and purpose in turn breeds direction and if the other way round, it makes power useless with the person in charge. Let me tell you that your antecedents are shrouded in half-truths. It has not been that long that Jacob Zuma and Ellen Johnson Sirleaf visited Imo State. Talking about Zuma, you handed him the Imo Merit Award, the highest award kept aside for those that have paid their dues in the state in different field of endeavors. What is Zuma known for, rather for a continuous level of corruption? You still went ahead to give to him a chieftaincy title, you unveiled a statue in honour of him likewise Sirleaf. The financial attachments are indeed scary. On Friday, 22nd September, 2017,you marked your 55th birthday and each of the 27 Local Government Areas (LGAs) presented 27 cakes and tax payers money were used for that purpose. 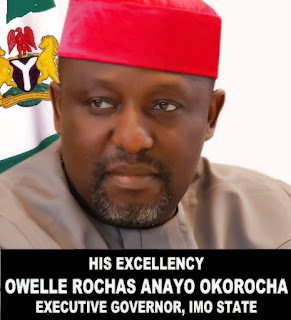 Imo State has remained a state where nothing is working and governance has taken a flight. Pensioners and their families are facing life and death struggle due to unpaid arrears, teachers are been owed too. Just last week, your wife Mrs. Nneoma Okorocha marked her 50th birthday celebration and I looked at the trappings of the set-up, and I say that the money spent was also scary. It was a lavish celebration. Owelle, you are known to boast openly for your lack of regard for due process and contempt for the rule of law, hence your habitual neglect and failure to comply with due process in taking sensitive official decisions and actions. You have the penchant for disregarding court orders and judgments, so as to reverse some of your wrong decisions. I was flummoxed when I heard the post of your biological sister, Mrs. Nkechi Ololo (Nee Okorocha) as the Commissioner of Happiness and Couples’ Fulfilment. I heard that there has been a slight change to the portfolio? Does it still matter? Of what essence does the post stand for? Must you carve out a post to satisfy your family members? Owelle, you need to go back to the drawing board if you have any. Let me tell you that, you lack vision in all you do and you forgot that vision is that creative mental force which enables a leader to rise above the pack, point out, define and provide newer and worthier directions or alternatives for the people on issues that affects them. It is the creative spirit that enables a leader to connect to the people through performance - and not through propaganda, undue sentiments or empty posturing. Anytime I remember Imo State, I remember the likes of Mbonu Ejikes, the Nzirimos, the Mbadiwes and today you are the joker in the saddle. I look at the films you have acted so far and I say that you would have done better as a Nollywood actor than as a political actor. As I ponder on your type of governance in Imo State, I cannot but feel for the people of Imo State. This whole episode is just horrifying like having a bad dream. Owelle, let me tell you that you represent a sore and sour taste when it comes to governance in Imo State and posterity will indeed judge you. 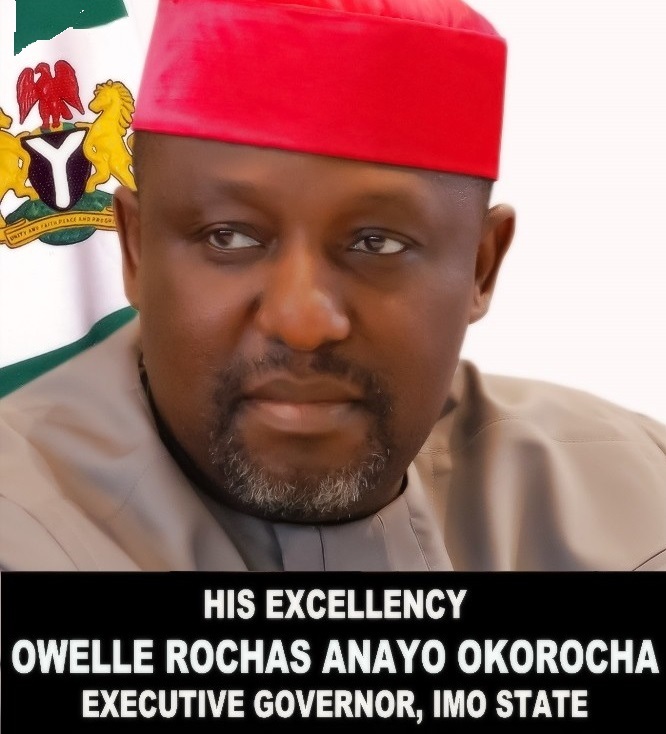 May God Bless Imo State! *Courtesy; Chris Uruakpa, wrote in from Lagos.